I took this photo at the Getty Center in Los Angeles. On the roof of the Getty Center is a cactus garden featuring several varieties of cacti. 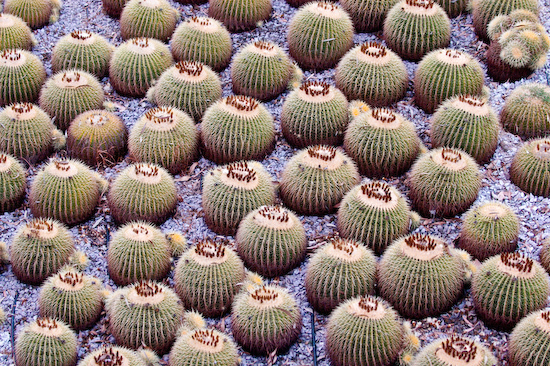 I'm not sure what variety of cactus these are, but it looks like barrel cacti (or ball cacti if that exists). heehee, they look like sea urchins.